Is your pet's breath appalling? 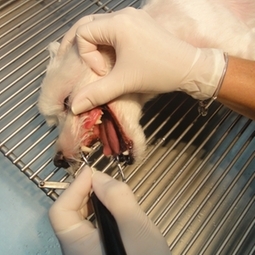 If you have experienced any of these with your pet, we urge you to make an appointment and have your pets teeth cleansed as soon as possible. If you don't think you have seen any symptoms it's always a good idea to ask and keep your pet's mouth clean in order to prevent any future complications. Note: The best way to keep your pet's mouth healthy is by providing a healthy diet consisting of their designated hard food, food not human food.